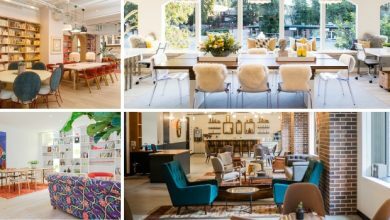 List of Best Coworking Spaces in Pasadena, California. 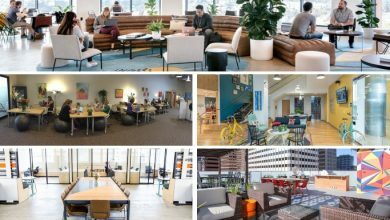 Searching a coworking space in Pasadena? You are at the right place. 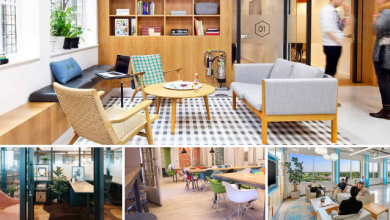 Coworking has become commonplace with a lot of workplaces teeming up in various corners of the world. Since there is no fixed format of getting a great office environment, companies keep adding new services on a trial and error based method. Therefore, it becomes a tad bit difficult to choose the workstation that actually coincides with your work schedule. 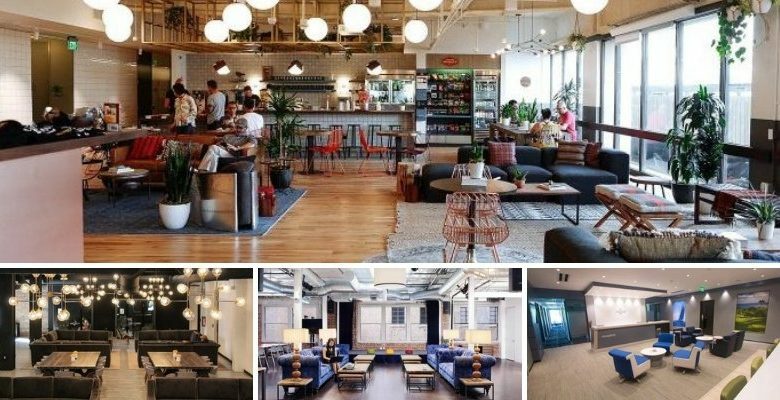 To make this process easier for you, we have come up with a list of top coworking space Pasadena that offer amazing services. 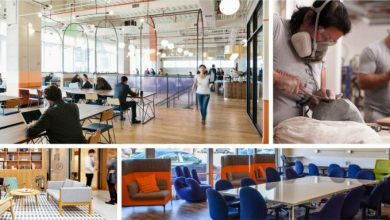 These workspaces have gained popularity for providing communal work-setting to individuals from diverse backgrounds. 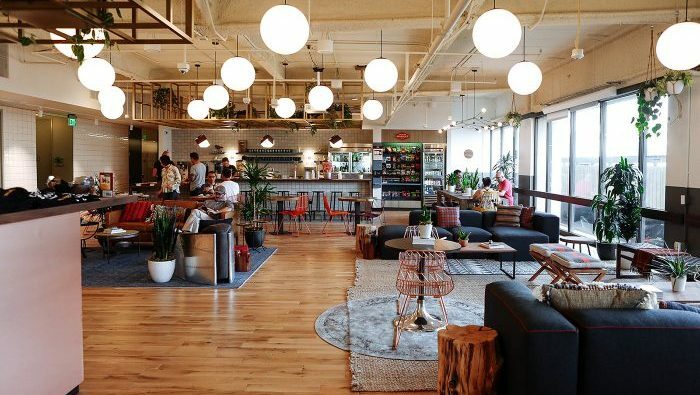 WeWork is a coworking giant with multiple locations across the globe. Likewise, it has spread its roots in the city of Pasadena. 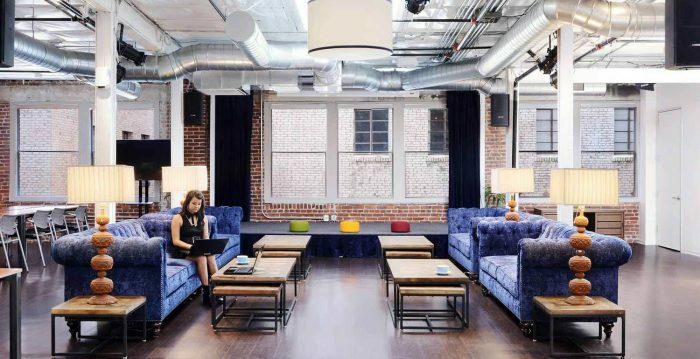 Situated on the second and third floors of the areas’ tallest building, WeWork coworking space Pasadena offers flexible workspaces to business professionals. You can enjoy the beautiful view of lush green mountains from the office window while working on your projects and tasks. Further, the building has a lot of facilities that will transform your work into a fun task. For instance, this center is pet-friendly and organizes abundant activities for your well-being. They also offer additional perks to aid you in accomplishing goals. You will be in constant touch with some of the greatest minds at the workstation who might guide you in your endeavors. So, book yourself a spot today and change the way you work for good! 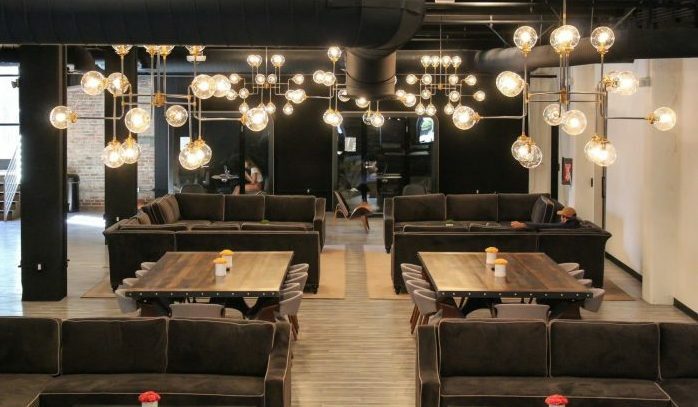 Membership Plans: WeWork coworking space Pasadena houses large and spacious workspaces within the center. This includes private offices, dedicated desks, and hot desks. Moreover, the offices are lockable and can accommodate a team of varying sizes. The cost of availing this option is $580 per month. Apart from this, you can even choose to work in a coworking zone by hiring a dedicated or a hot desk. The former gives you the option of working in a permanent spot in the shared space at a cost of $450/month. Whereas the latter provides you the option of working in the open workspace of the common area at a cost of $350/month. Cross Campus coworking space Pasadena is a great workplace offering several workplace solutions to those who work to innovate. Furthermore, the community of this center is largely diversified. That is to say, you will come across people from various backgrounds including technology and research. The members also include scientists and astronomers. So, you have the opportunity to mingle with them and enhance your knowledge. Apart from networking, the other attractive feature of this workplace is the list of amenities it provides. From free internet connection to onsite parking facilities, they offer everything that your profession requires! Contact details: To procure more information about this space, call them on (310) 706-0221 or drop a mail at info@crosscamp.us. 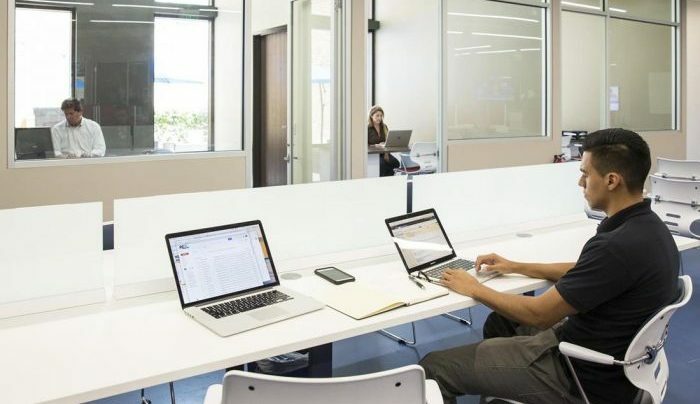 Membership Plans: The membership plans offered by Cross Campus coworking space Pasadena include Campus Membership, Hot Desk, Private Desk or Office. The campus membership gives you access to meeting rooms, shared workspace, and other business services at a cost of $50/month. If you frequently require a place to work, then you should book a hot desk and work wherever you like. The membership cost of this option is $300/month. Other than this, you can book a permanent space to work with great benefits at a cost of $500/month. 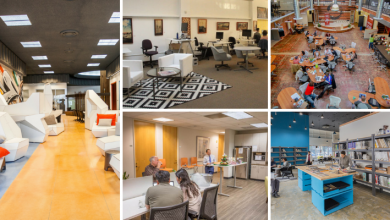 CTRL Collective coworking space Pasadena is a shared workspace that fosters development through collaboration. Further, the place is creatively styled to suit your tastes and requirements. Also, the modern interiors of the center will infuse you with energy and boost your creative power. The workstation is just ten miles from downtown Los Angeles. There is an abundance of entertainment venues in the area that include galleries, museum, restaurants and outdoor cafes. So, you can get all you want just outside your doorstep! If you want to escalate your business growth, then make sure you get yourself admitted in this amazing coworking space. Contact details: To know more about the place, mail them at general@ctrlcollective.com or give them a call on +1 310-301-0003. Membership Plans: CTRL Collective Pasadena offers workspaces in the form of coworking desks and private offices. The private offices are well-contained and provide all the basic facilities. 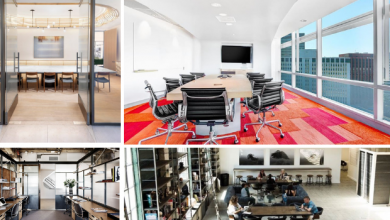 Further, the cost of these private spaces depends upon the number of people in your team. You can hire an office for 2 people at a cost of $1250, for 4 people at $1750 and for 7 people at $3000. On the other hand, you can work in a collaborative environment at the costs of $349 (Full-time), $199 (Part-time) and $449 (private desks). These work areas come with all the facilities offered by the workstation. Blankspaces coworking space Pasadena offers a variety of choices in workspaces. An ideal spot for freelancers and entrepreneurs, it is an amazing place to derive the benefits of working in a community. Moreover, you can use this space not just for work but also for holding workshops and meetings. The friendly staff at the center will make your work easier by providing appropriate help whenever required. Not to mention, the informative events held at the workspace that will help you meet new people. So, if you want to take your venture to another level, this is the place to be. Contact details: Contact them on 626 665 9955 in case you have any queries in mind. Membership Plans: Blankspaces coworking space Pasadena offer flexible membership plans by the hour, day and month. From coworking desks to private offices, you will find plenty of options here to work on your business goals. Furthermore, they offer offices of various sizes that can accommodate around 2-6 people and their cost ranges from $1,200- $2,200. Apart from this, they offer workstation, work cafes and well-equipped conference rooms. To know about their membership costs, please refer to their website. 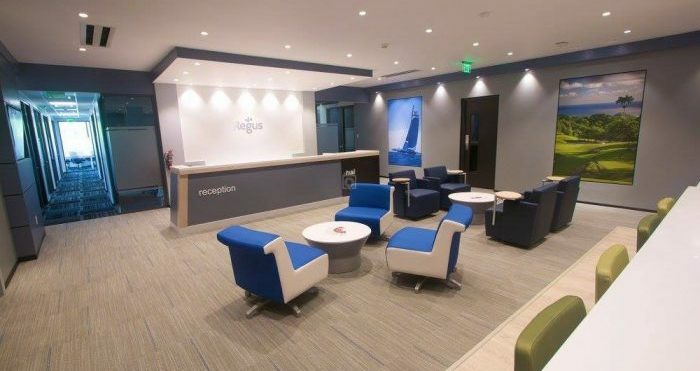 Regus coworking space Pasadena is a leading workspace provider across the globe. They provide great services that help a business operation to operate from any place in the world. Not to mention, the unparalleled network they have built over the years. Even if you have just started with your venture and are unsure about the next step, they will help you tackle every hardship. This workspace in the city of Pasadena houses great workspaces that are designed to foster productivity. Contact details: Got a query? Call them on +1 855 400 3575 and get all the information regarding this place. 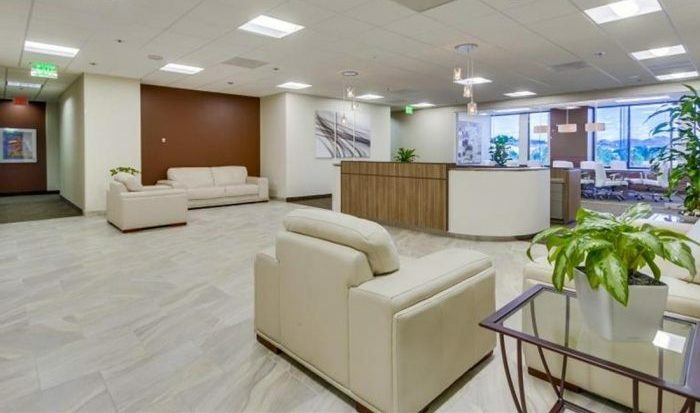 Membership Plans: Regus Pasadena coworking space offers office spaces, coworking desks, and virtual office plans. The private offices have a modern set-up and are equipped with all the facilities. Further, they can be availed at a cost ranging from $16-$22. Whereas, you can opt for a coworking desk at a cost of $14. Also, they have virtual office plans that include services like mail and call handling and are available at a cost ranging from $4-$13. WRKPRTY coworking space Pasadena is a shared workspace where people work in a community to derive increased productivity and better results. Moreover, this space makes sure that your goals are met on time and you get an opportunity to network your business idea to other capable coworkers of the center. It is set-up in a great location and is in close proximity to various retail spaces plus other venues. It holds social coworking events wherein people catch up with each other and be inspired, network and make friends. Also, the homely work areas have attached with them spacious balconies. So, if you are planning to expand your business but lack proper guidance, then you should consider joining this place. 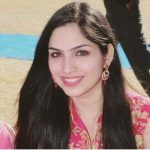 Contact details: Got a query in mind? No worries. Just drop them a mail at hi@wrkprty.com or contact them on +1 209-975-7789. Membership Plans: WRKPRTY is a community organization that provides a shared space for hosting curated coworking events. Also, these workshops can be organized at any time of the day. You have a chance to be a part of a creative crowd who believe that productivity enhances once you start working with the right people. To know about the price, please get in touch with their team. Barrister Executive Suites is a professional Pasadena coworking space that provides workplace solutions. They offer various services to business practitioners, startups, entrepreneurs in terms of work areas and additional amenities. Further, this workspace provides amazing workspaces in addition to efficient customer services. You will be working amongst some of the great professionals who might help you in your endeavors. So, don’t miss out on this great opportunity and work your way to success! Contact details: For more information, you can mail them at leasing@barrister-suites.com or call them on 800-576-0744. Membership Plans: Barrister Executive Suites has an option of full-time offices that are fitted with all the necessary facilities. They can also be customized based on what you require or prefer. 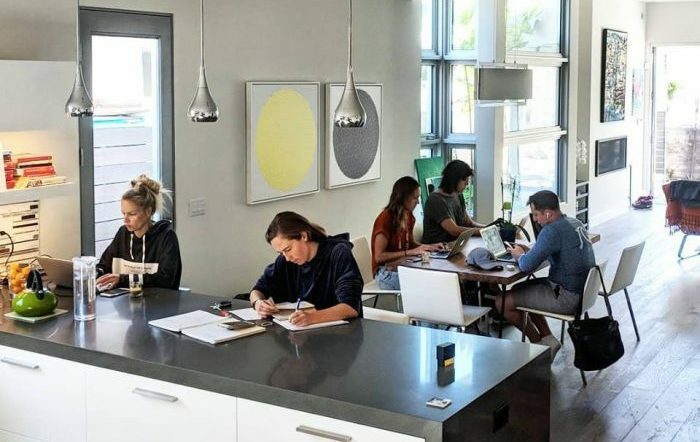 Apart from this, this coworking space Pasadena offers virtual office services where you can get all the benefits of the office address without being physically present there. Additionally, you can hire meeting rooms by the hour or day. To know the price of the above-mentioned options, get in touch with their team. Chefs Center of California provides shared kitchen space to food-based business practitioners. Also, they help their members to expand their business which includes services like catering, retailing and much more. Not to mention, the kitchen at the center houses some of the modern tools and equipment. So, make full use of the resources this coworking space Pasadena offers and witness your business grow at a steady pace. Contact details: If you have a query, you can call them up on +1 626-744-9995. Membership Plans: You can apply for a membership at the Chefs Center of California and gain access to the shared state-of-the-art kitchen. Further, you can use all the tools and utensils available at the center. To procure price details, please contact their team. We hope that after reading this, you might have gotten a clearer view of the coworking space Pasadena mentioned above. If you are looking for a flexible working environment where you can exercise your own rules, then delay no further and apply for a shared workspace. Additionally, these spaces are a cost-effective alternative to traditional offices which charge an exorbitant price for limited services. On the other, at a coworking space, you will get all the additional facilities under a single membership plan. So, what are you waiting for? Apply now!